Rapha-Condor-Sharp’s Matt Cronshaw took the third stage of the P&O Irish Sea Tour of the North but it was former British road champion Hamish Haynes who took over the leaders yellow jersey. Haynes, riding for Velo Club Ecosse, finished the stage in Limavady right behind Cronshaw, while overnight leader Philip Lavery (Cycling Ulster) lost over a minute and a half in the snow-capped hills of County Londonderry. 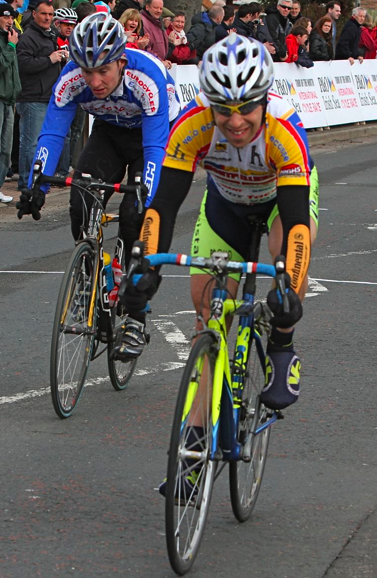 Sigma Sport’s Tom Last lies second overall, six seconds adrift, going into Monday’s final 70-mile stage to Ballymena.